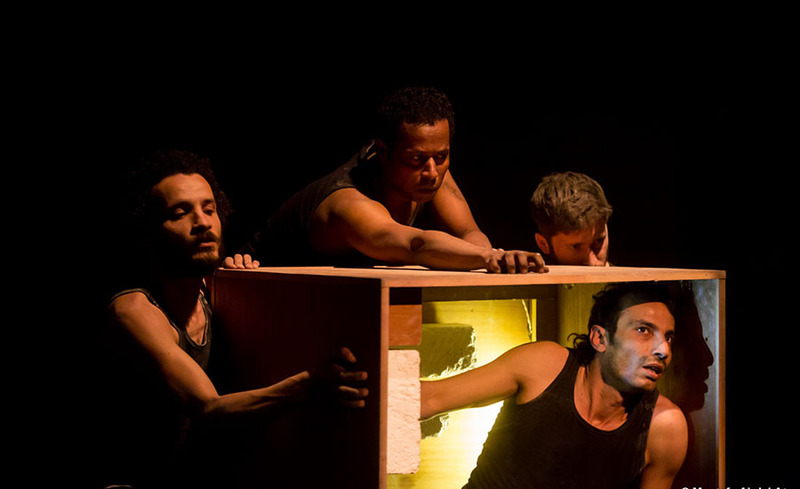 English director Tom Bailey worked with Egyptian actors from El-Warsha troupe to create Possession, a performance based on the experiences and writings of Egyptian Desert Hermits from the third century, blending choreography, music, dance and poetry. 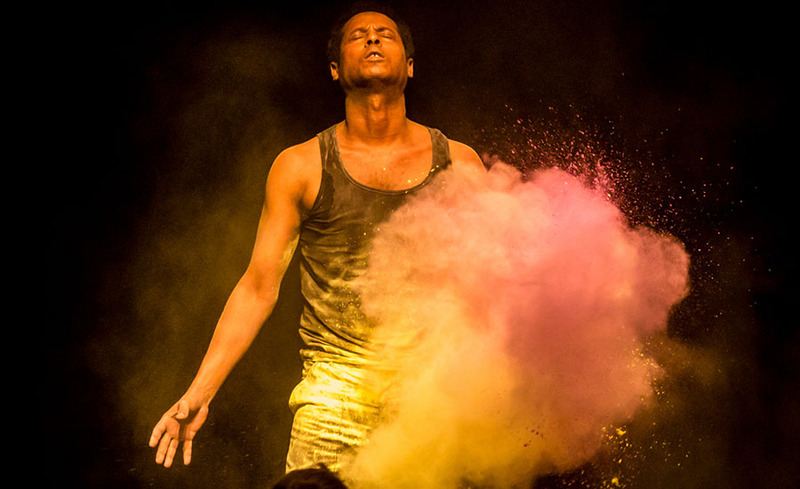 The play was performed twice at Studio Nasibian Theatre as part of the D-Caf festival, which concluded on 29 March. The subject came to Bailey’s attention through the work of French author Gustave Flaubert, who in 1874 published a book about St. Anthony, an Egyptian hermit of the 3rd and 4th centuries who is regarded as the father of monasticism. Flaubert’s book was in turn inspired by a painting titled The Temptation of St. Anthony by Peter Bruegel the Younger. “I realized there was not much known about this part of Egyptian history, the origin of monasticism and their way of life,” Bailey told Ahram Online. 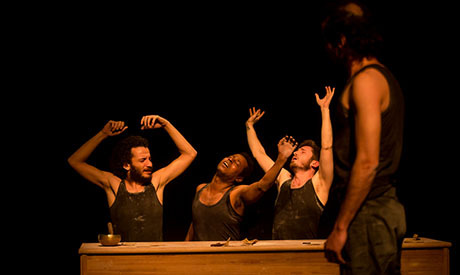 On stage, four male performers each have their own space - a "box" - where they spend their days working and praying in the mountains, and a common table in the center where they share their meals in sync. A projection screen serves as a narrator for some of the scenes, giving context and additional information about their lives they lead and providing translation to the Arabic-sung poetry. We see their lives through a hypnotic routine, as they pray, work, eat, pray, work, eat… The hermits become one with the raw environment that surrounds them, their pale, plain clothes camouflage them against the sand and stones, and their movements become primeval. The performance is eerie, physical, harsh, rhythmic, and very emotive, with the actors displaying both a fierce power and animalistic agility in their movements. We learn that in their solitude the hermits’ writings always referenced demons - personal demons that presented a continuous internal struggle. One of the four hermits falls out of rhythm with the others, as he desperately resists "possession" through harder work, fervent prayer and more isolation. In one of these sequences of struggle, the others - who may now represent the demons - throw handfuls of brightly colored dust at one of the hermits, who recieves the blows with a mixture of surrender and defiance. While the colored powder immediately brings to mind the Indian Holi festival, in this context it is aggressive and not celebratory, both physically and visually, as the colors stain the plain garments of the hermit. Bailey explains how the piece involves spiritual references and elements from different religions, including Buddhism, Hinduism, Christianity and Islam. Conveniently, a call to prayer from a mosque outside the theatre added yet another dimension to the performance and its already layered soundscape featuring Coptic, Nubian and Su song, as well as Arabic drumming, and Tibetan bowls. The songs were also pulled in from different cultural sources, and were reworked to a contemporary style. “The opening song is a reworking of a Nubian piece. I scripted the words for two of the songs myself, which served to communicate certain information for the dramatic development. The others were developed from preexisting songs,” Bailey says. He knew the language for the piece had to be in Arabic, which presented a language gap that he had to overcome with the Egyptian troupe members. The musicality of the performance is found not only in the songs, but also in their actions as they hammer the stones, scratch on drums, and thump on the ground. The production phase involved three rehearsal periods over the span of two years, in three different cities, starting with the desert of El-Minya, then in Aswan, and culminating in Cairo. Despite having a clear idea for the piece, Bailey shares how benefical it was to remain open during the process, and how it evolved during rehearsals under the influence of the landscapes and with the actors’ input. “A lot of material came from the desert. Working with the stones, the use of powder, the tight boxes where they lived. I also knew I wanted to experiment with the staging of the piece and it’s dramaturgical structure,” he says. Bailey’s approach to Possession was inspired by a form of theatre that developed in Poland, one of the countries where he trained as a director. Polish director Jerzy Grotowski - who came to prominence in Wroclaw between 1960 and 1980s - was a pioneer in acting training and spearheaded a process that explores spirituality and the actor. This style of theatre was characterized by very long rehearsals, and by delving into the spiritual and physical aspects of the body, which often went into exploring spiritual themes as well. While Possession draws from history and focuses on a Coptic story, it seeks to explore wider themes by raising questions around "what possession means in different cultures" and "where it falls in terms of science," thus unlocking some of the research Bailey has put behind it. In the second part of the performance, one of the hermits is brought back to civilization, after he was found lying unconscious in the desert. A doctor attempts to help him by asking questions and trying to unlock the inner workings of this possession. Here the performance asks: Is there is a place for spiritual healing in psychiatry? “There's an interesting conflict between religious healing, and western medicine that considers possession a psychological issue and categorizes it among dissasociative disorders. From an anthropoligical point of view, demons and spirits have remained in the expression of all religions, but no one really knows from science whats actually going on,” says Bailey. “Only when there is one body, there will be no demons,” the projected text reads. The phrase invites several interpretations; the group behaving as one unit (a collective body), or a singular body having a cohesive sense of self. Or perhaps it is about becoming one with their surroundings. In the closing sequence, the hermits covering themselves in dust seems cathartic. 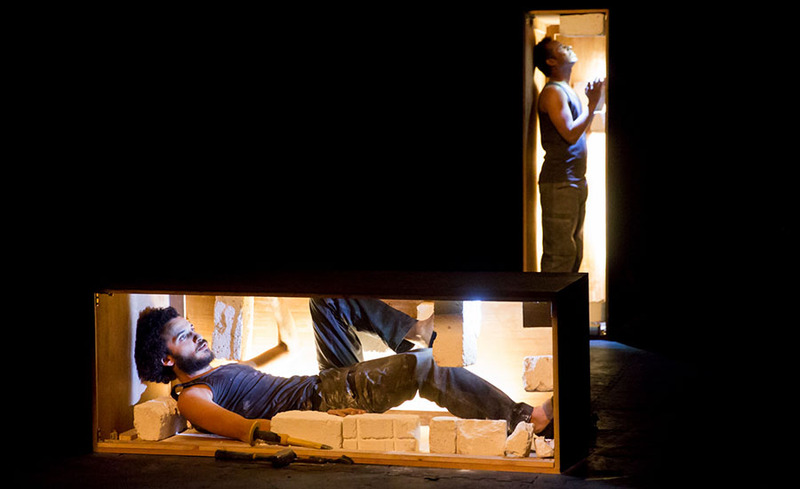 The play closes poetically with the words: "Everything over dust is dust." While Possession leaves us with no solid answers, its power is in its fiction, and the intense world to which it manages to transport us for the duration of the piece, gripping us with the emotion born out of movement and sound.